Golden Retriever puppies require proper socialization and at least basic obedience training in order to reach their full potential. 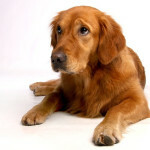 The good news is that Goldies are willing and very capable students who are very trainable. Golden Retriever puppy training is most effective when using positive, reward based dog training methods with plenty of encouragement and praise. You’ll find that your Goldie is eager to please when training and won’t benefit from any harsh punishment or intimidation. From puppy house training (potty training), crate training right through to all the basic obedience commands (sit, down, stay, heel, come etc.) your Goldie will catch on quickly. All they require from you is some clear guidance, consistency and repetition.